KEEL software is an open source Data Mining tool widely used in research and real life applications. 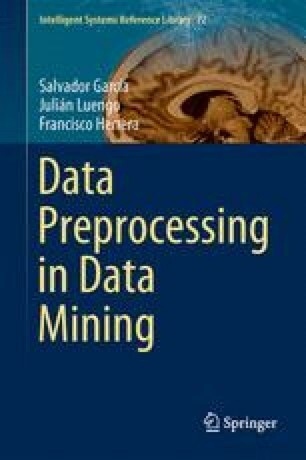 Most of the algorithms described, if not all of them, throughout the book are actually implemented and publicly available in this Data Mining platform. Since KEEL enables the user to create and run single or concatenated preprocessing techniques in the data, such software is carefully introduced in this section, intuitively guiding the reader across the step needed to set up all the data preparations that might be needed. It is also interesting to note that the experimental analyses carried out in this book have been created using KEEL, allowing the consultant to quickly compare and adapt the results presented here. An extensive revision of Data Mining software tools are presented in Sect. 10.1. Among them, we will focus on the open source KEEL platform in Sect. 10.2 providing details of its main features and usage. For the practitioners interest, the most common used data sources are introduced in Sect. 10.3 and the steps needed to integrate any new algorithm in it in Sect. 10.4. Once the results have been obtained, the appropriate comparison guidelines are provided in Sect. 10.5. The most important aspects of the tool are summarized in Sect. 10.6.